Today, I was puttering around on the Internet, on a site that I frequently visit, Linked-In. I decided that I would take a look at their “Answers” section, which lists questions by members that other members are invited to answer. One of the questions made me pause for a moment and think. The question was, “Why does India think differently than America when it comes to time?” If you work with offshoring in India, you have probably been told that you can expect problems with punctuality or on-time delivery when you work in India. Or you may have read in an article or a travel book that if you are in a hurry to get something done, then you can expect to experience a cultural shock when you visit India. Whatever the source, you will hear anything from a whisper to a shout about the lack of an “exact time” culture: deadlines are missed, commitments are made that are not honored, meetings happen “sort of on-time”. Will you see this in India? Absolutely. However, you will also see this in Mexico (the land of Manana), anywhere in the Caribbean, large parts of South America, smaller towns in Europe and the US. Probably, there are a lot of places in the world that you have never visited (and never will) that have a disappointing view of timeliness. It so happens that most of my family lives in Florida. If you’ve ever visited the big cities in Florida you will notice that many of the locals are former New Yorker’s. If the Floridian in question is still working, you will also notice that they spend a lot of time complaining about the real locals (who they see as, “nice people but slow and lazy”) and the tourists, or “Snow Birds” (who they see as, “overbearing perfectionists who don’t appreciate how things get done in Florida”). The Snow Birds are mostly New Yorker’s. They love Florida but complain about the poor quality of the: service, local pizza, attitude of workers, etc. If you are a big city/big company manager your view of time and punctuality is NOT held by the majority of the world. For a reminder of the varied a views on time, even in your own geography, think about your last visit to: the department of motor vehicles, the last time you had a general contractor work on your home, your “scheduled” appointment with the cable guy, or (increasingly) your appointment with your doctor. What’s a service manager to do? The first thing you need to do is to keep a sense of perspective. 10 years ago very few services tracked and measured their performance, or provided SLA’s (service level agreements, a statement of the expected levels of performance). 20 years ago true time tracking was rare; to the degree that consultants and lawyers tracked time, they did it at the end of the week and it focused on billing rather than accuracy. 30 years ago, if anyone ever brought up this issue in a corporate services meeting the silence would have been deafening. If just wasn’t that important. 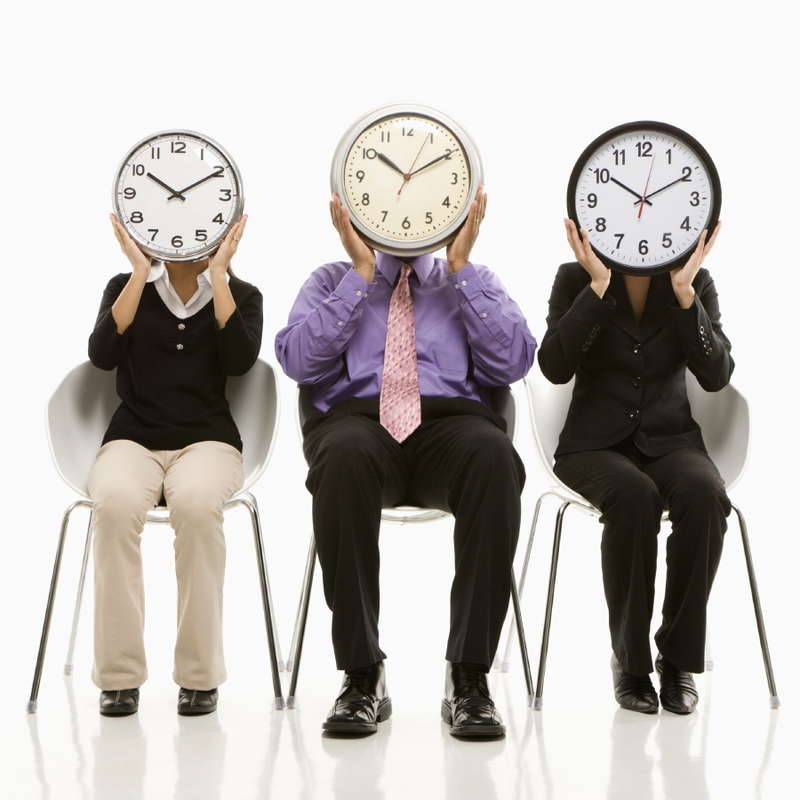 Today time management is a vital element of any service. When you hire a new worker, they enter into a culture that benefits from the last 30 years of discussions and procedures about timeliness. When you open a new location, anywhere in the world, you should not expect the same understanding of time. Does this mean that you need to make compromises when you work offshore? Not at all! You can create almost any culture you want in any location… if you’re willing to devote the time and energy. However, don’t focus on creating the EXACT same culture everywhere. If your firm has a New York and London office, you’ll probably agree that each office has cultural differences. These are probably the two most similar international cities you can find in the English-speaking world. In order to manage the effort this will take, you need to identify key elements that need to be identical and other elements that can be similar. You will find that every culture has elements that are superior to your original model; be selective in what you keep and what you change. Still, regardless of your ultimate model, compared to the New York to London cultural differences you should expect a greater range of differences in Mumbai, or Manila, or Beijing. If you put in the time and effort it requires, you can get to the culture you want, but it will take years, not months. Let me be more specific. If you plan on owning and operating your own location, and outsourcing is new to your firm, you can expect to take 3 to 5 years to get the culture to work the way you want. If the location is in your own country, this can take half the time (because of greater cultural similarity). If your firm has experience running operations in an offshore location, but has never run your service from this location, you can reduce this time by a year or so. If you want to reduce this time still further you need to work with an outsourcing firm that can run, or at least build, your offshore services. If this is what you need to do, it is critical that you choose the right outsourcing firm. What should you look for? You need to select a supplier who has been around for several years, performs similar work with similar clients, and is the best match for your culture (don’t ask the supplier about their culture, ask their clients). Selecting the right supplier is a necessary pre-condition for developing the right culture, but it is not the only condition. The supplier will get you halfway there by: building or transferring your service’s fundamental culture, finding the right sources for qualified staff, perfecting staff training, understand compensation issues. Your half of the process continues well after your new facility is up and running. Your greatest responsibility will be to ensure that your culture is understood and that the supplier and all of the managers are held accountable for delivering up to your expectations. How? Understand and document your culture/expectations: Before you can make your offshore service responsible for living up to your culture, you need to document it. If you have multiple shifts and multiple locations, do you currently have exactly the same culture and expectations everywhere? You need to standardize your onshore cultural model before you tackle offshore. Clearly communicate and train for your expectations: Make no assumptions. This isn’t a casual conversation, an email or a call with the supplier. This is a classroom course with a training work book, a glossary and a monthly follow-up with your on and offshore staff to measure progress on cultural change. Ensure that SLA’s and metrics reflect your expectations: Reinforce, reinforce, reinforce! You need to be sure that your “important” measures… the measures talked about in meetings and reflected in your contract… include key cultural issues. Really, really hold them accountable: If you set up a new onshore shift, they would eventually be responsible for owning their product: taking instructions from the client, quality control, speaking to the client when the work is late. If you never allow the offshore staff to fully own their product, they will never be truly responsible for on-time delivery and other measures of timeliness. If you feel your offshore staff cannot perform these functions… you may be right, but only if you don’t have the right staff. The right staff DOES exist; if you staff isn’t quite right you need to re-examine your expectations, your recruiting specifications and your billing rate (did your supplier underestimate the cost of staff?). You can have the culture you need, but you’ve got to build it. When you partner with the right supplier they can lay some of the foundation and reduce the time it takes to build your culture, but you must continuously hold your offshore staff accountable or won’t get what you expect. And that’s my Niccolls worth for today! This entry was posted in Best Practices, Common Sense Contracting, Decision Making, Delivering Services, Expectations and Rewards, Improvement, Continuous or Not, Learning and Development and tagged change, Culture, Measure, Metrics, Offshore, outsource. Bookmark the permalink.